Speaking has been a way of communicating for centuries before the written word was recorded. Much of what we know as history was passed down through centuries through memorization and recitation. Speaking is a vital part of our everyday life. Designers speak to many audiences informally and formally. Speech is used to inform, persuade, debate, evaluate, etc. A true speech is usually a more formal presentation. For a designer, a speech (sometimes called a presentation), is critical to helping a design move forward. 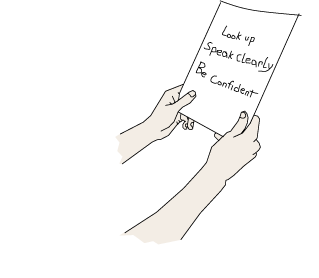 The art of writing and delivering speeches takes practice. Writing a speech requires research and organization. The speech, or presentation, should introduce the project, support the reasons for doing the project, and provide a conclusion summarizing the main points of the presentation. A speech itself is a creative work, and should complement the subject that is being presented. 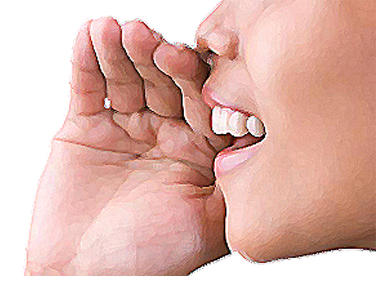 The tone of the speech should be aimed at specific audiences for specific purposes. Vocabulary and level of speaking should fit the audience. Gestures or dynamic body language keep people interested. Be comfortable and confident with your information. Look at the audience and do not turn your back to them. Use body language to emphasize your points. Speak clearly and loudly. Designers find their voice in words. Speeches become the voice of the designer. Make a list of words about your favorite season. Add activities that can only be done during that season. Then make an outline about the climatic changes that occur during that season. Write a speech about why the season and its effects on people is your favorite. Select visuals. Deliver your speech using appropriate gestures. Research your topic. Come up with 5 adjectives and adverbs to describe your product. 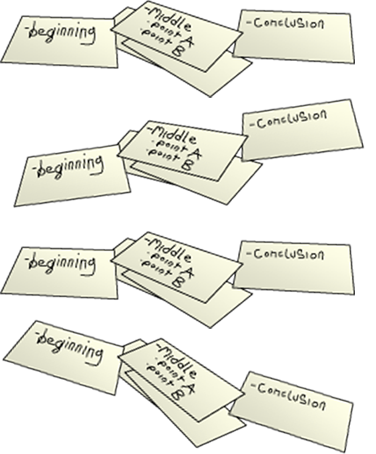 Write a short speech about the products and how they can revolutionize a present situation. Describe a company’s role in promoting your product to the public. Present the speech using gestures and visuals. When giving a speech, do not turn your back to your audience. Only politicians use speeches today. You should change your speech tone when talking to a small child. As a designer, your presentation might include visuals to accompany your speech.